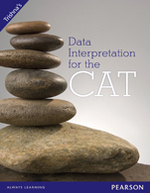 Books to be referred for CAT exam? 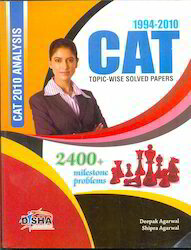 What is the syllabus of CAT section? How should I prepare for KAS entrance exam? Books to be referred? How to prepare for IAS and IPS exam? Books to be referred to prepare? 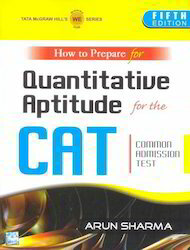 Books to be referred to prepare for Aptitude exam? Re: How can I prepare for CAT exam? Books to be referred? 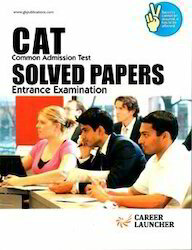 CAT exam covers questions on reasoning, QA, general awareness, and English language. The examination is conducted to check the logical and analytical skill of the candidate. Reference books published by S.Chand, Upkar,Agarwal etc can be used for exam preparation. After setting a convenient time table, you can go with exam preparation. Coaching under training centers will also help you in exam preparation. Want to prepare for MBA. Which coaching is the best for preperattion in Bhopal ? nd sujjest me reference books for it. which books are best for at prepration ? give the name of books & syllabus & other informatoin about cat?